These adorable nap mats from Fox & Kit set will make the little stretcher beds at daycare almost as soft and cosy as beds at home. It’s a gorgeous and foolproof all-in-one easy to carry design, which is a godsend if getting organised for the kindy run is ever a tad chaotic in your house! 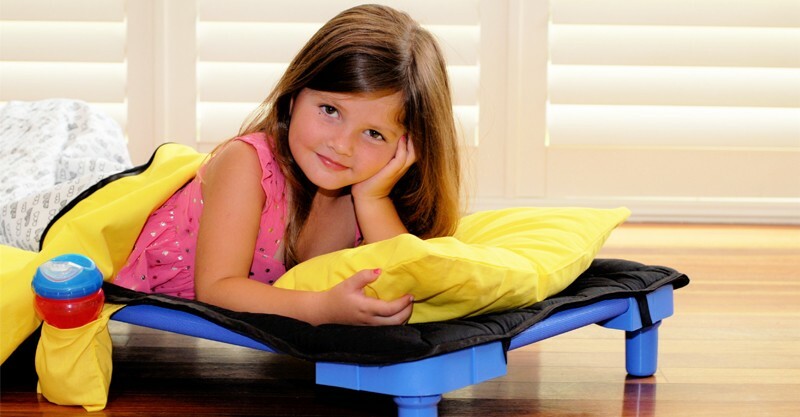 The Deluxe Nap Mat not only has looks to make you want to run over and snuggle in, but also includes a toddler pillow, 100 per cent cotton sheet, pillowcase, blanket and a slim-line mattress in an easy to carry and machine washable roll. Yes, that did say mattress – that is the genius of the Fox & Kit design. Whilst other daycare sleep sets offer sets of matching sheets, blankets and pillowcases, none of them address the fact that those little stretcher beds are a tad on the hard side! 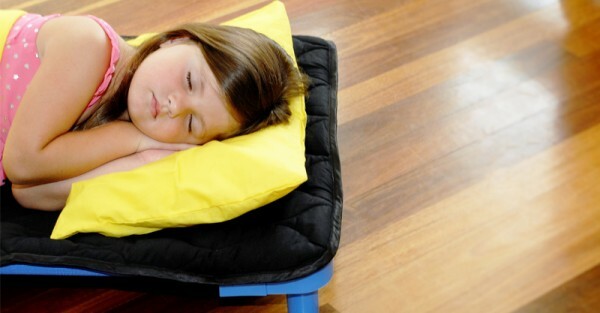 The smart folks at Fox & Kit have incorporated a comfortable and durable 350gsm quilted base to make sure snoozes at preschool are as soft and sweet as can be. Plus the quilted design ensures that it’s durable enough to withstand weekly washing. 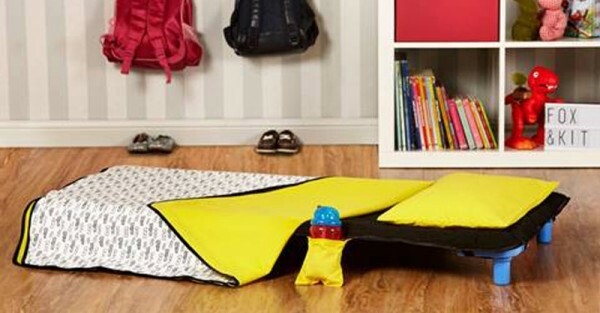 This neat looking sleep solution also includes a “Treasure Pocket” the kids will love for drinks, soothers and friends. The elastic straps which secure to standard daycare cots and mats will have the folks at preschool loving how easy they are to use too. The satin trimmed fleece blanket and sheet are attached at the bottom to ensure nothing gets lost and little feet don’t get cold. In hot weather just remove the blanket. When nap time is done the whole pack just rolls up and is carried with an easy-carry strap. Packs are handmade in Australia and unlikely to get mixed up at preschool since each design is a limited edition, with no more than twenty produced. Nap mats can be embroidered with your child’s name for a small additional fee for that extra personal touch.